Soft, romantic photo of a couple on the beach with Chicago in the background. Ashley and Cordale decided to return to the scene of the crime for their Anniversary Session. 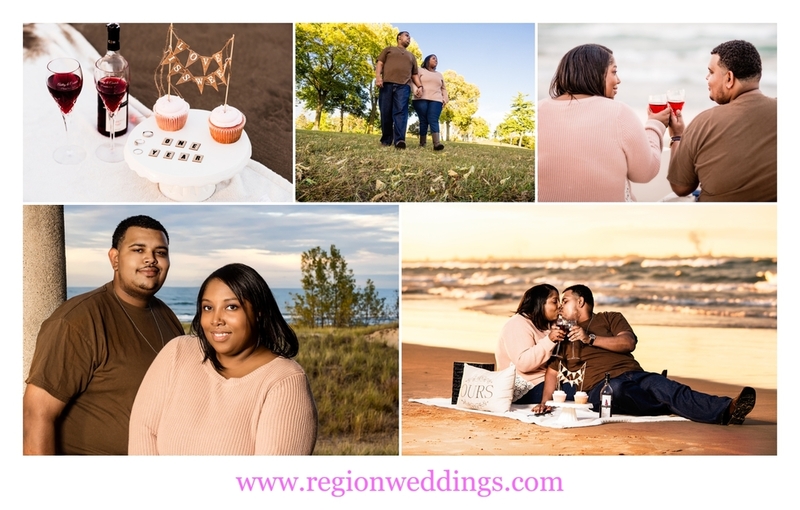 The scene being the shores of Lake Michigan at Marquette Park where we did their engagement session. This time around they had some of the decor from their wedding on display. You can also see some of the wedding photos of the hopelessy in love couple at this link. A couple in love share a few laughs at their Anniversary Photo Session. The kissing tree near the Aquatorium. I did skip the wine, but the happy couple stayed as the sun set enjoying their picnic to celebrate their one year as husband and wife. It was great to see them again and I'm so proud that they once again chose me to capture their lives together. 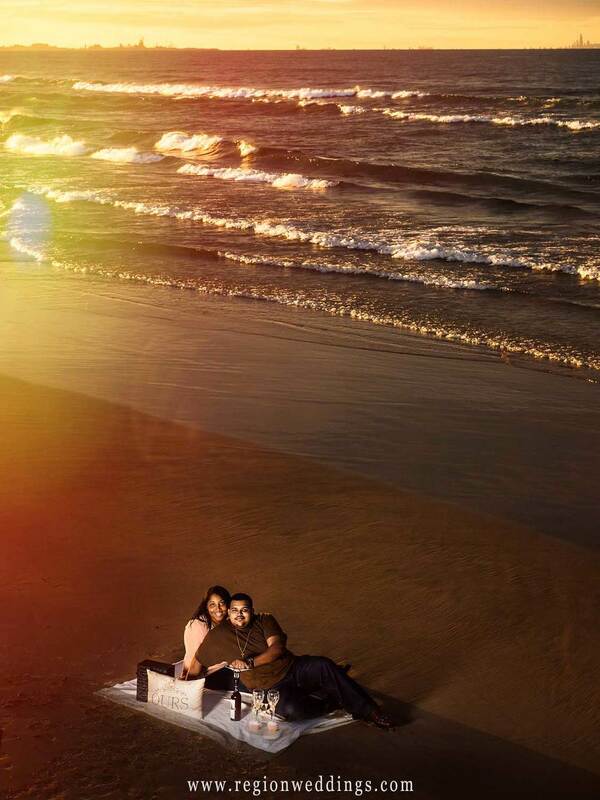 A couple celebrates their one year Anniversary on the shores of Lake Michigan. High tide rolls in during a one year Anniversary picnic.